Close your eyes and daydream with us for a moment. Imagine a blue-sky day aboard a boat surrounded by shimmering water. Sea gulls dive into the water for their dinner, truly a fresh catch. 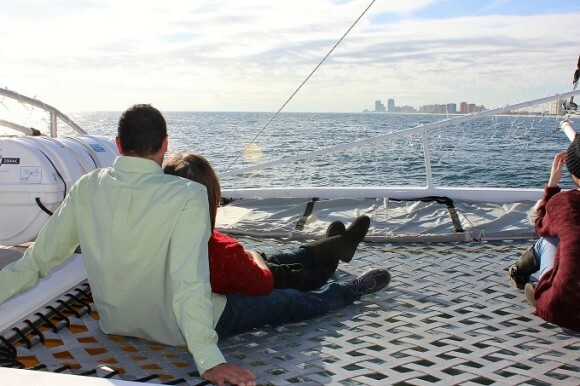 Friendly dolphins dance in sequence, just a short distance from the boat, and Caribbean music sets the tone for a relaxing dolphin cruise through Wolf Bay and the surrounding waters of Orange Beach, Alabama. We offer a two-hour dolphin and nature eco tour aboard our 40' Pontoon style vessel aboard The Explorer and a two-hour sailing cruise aboard our 52' sailing catamaran.